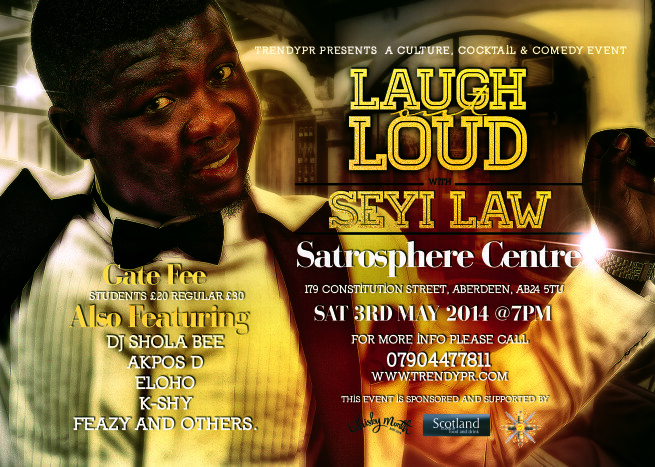 TRENDYPR is launching an annual live comedy show with the finest Nigerian Comedian – SEYI LAW (and others). 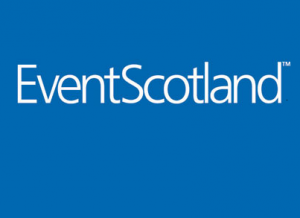 Sponsored by EVENTSCOTLAND, TRENDYPR is hosting an evening of culture, cocktail and comedy on the 3rd of May 2013. Featuring: DJ SHOLA BEE, ELOHO, BONGO DAVE & CO, K-SHY, FEAZY & OTHERS. Get ready for an elegant African Inspired cocktail, dinner and entertainment event in Aberdeen! TRENDYPR – Passionate about creativity and culture!